a Top Caliber x Smoken Iron daughter. The calf at her side is a Dragonslayer daughter. The pair will be available in the Midwest Longhorn Sale on April 27. Don't miss out on this great package deal! Freeman Ranch is offering an incredible opportunity to own Iron Top, a Top Caliber x Smoken Iron daughter. 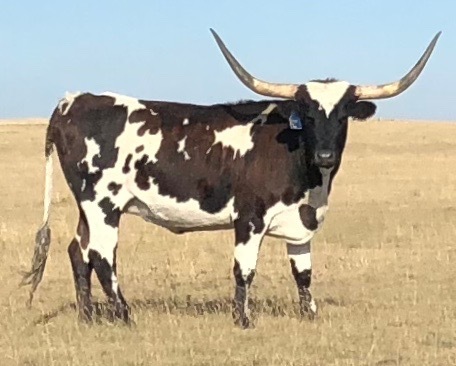 The calf at her side is a March 2019 Dragonslayer daughter. The pair will be available in the Midwest Longhorn Sale on April 27. Don't miss out on this great package deal!